Now that Eric Holder is in the process of trying to graduate from Barack Obama's vice-presidential search committee to President-elect Obama's apparent nominee for Attorney General, it's a good idea to remind people of Holder's role in the Elian Gonzalez case in 2000. This post largely reprises one I put up in June. In between hosannas, someone should consider Barack Obama's "Judgment to Lead" in light of his selection of Eric Holder as his nominee for Attorney General. Besides his already-known role as former Clinton Administration Deputy Attorney General in facilitating the Clinton pardons, including that of fugitive billionaire financier Marc Rich, there's the matter of Holder's involvement in the Elian Gonzalez case in 2000. As the April 23, 2000 edition of the Media Research Center's CyberAlert noted at the time, Andrew Napolitano of Fox News charged that the early-Saturday seizure of the then 6 year-old Gonzalez from those who were taking care of him flagrantly disobeyed a ruling of the 11th Circuit Court of Appeals. Those who don't understand why paid circulation at major metro newspapers has been declining steeply for at least the past five years need look no further than yesterday's disgraceful reporting by Tawnell D. Hobbs in the Dallas Morning News (DMN). The Dallas Independent School District (DISD) has been committing crimes that would cause private companies performing similar acts to be raided and/or shut down: issuing fake Social Security numbers to foreigner with visas and/or illegal immigrants to get them on the payroll. CNN Implies Conservatives are Partially to Blame For Murders of Illegals? 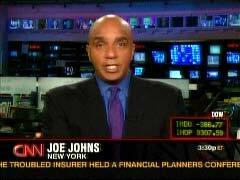 On Wednesday’s Newsroom program, a report by CNN correspondent Joe Johns, along with a subsequent interview by anchor Rick Sanchez, raised the implication that anti-illegal immigration rhetoric, particularly from conservatives, might be partially to blame for a spike in so-called hate crimes against Latinos. During a clip in Johns’ report, which was about the recent murder of an immigrant from Ecuador by teenagers, columnist Ruben Navarrette speculated that "[w]hen people go out on the airwaves or in print or at the stump as a politician, and they beat that drum, they shouldn’t be surprised. At the end of the day, many people out there, and particularly young people, who are very impressionable, think, ‘Hey, you know what? This is one group we can do this to.’" At the end of his report, Johns added that "[t]he question that’s already being raised by activist groups in the newspapers is whether anti-immigrant rhetoric has created a climate for this kind of thing." After the report, Sanchez interviewed Mark Potok of the liberal Southern Poverty Law Center, who added that "really, racist conspiracy theories and false propaganda....have made their way out into the larger anti-immigration movement -- the Minutemen groups and so on. And before you know it, they are on talk radio, they are on some cable news talk shows." Strangely, the CNN anchor then went on a bit of a tangent by bringing how Newsweek recently reported that "the Secret Service has now confirmed that threats against Barack Obama spiked when Sarah Palin began impugning his patriotism." Drastic times call for drastic measures, and CNBC's Jim Cramer has a drastic measure that probably won't sit well with border enforcement proponents. On Nov. 5 the host of CNBC's "Mad Money" detailed for his audience how he would save the economy serving under Democratic President-elect Barack Obama - under the facetious assumption he could be SEC chairman, Federal Reserve chairman and Treasury secretary. Cramer's plan involves the government bailing out the big three U.S. automakers - General Motors (NYSE:GM), Chrysler (NYSE:DAI) and Ford (NYSE:F) - with a plan similar to the bailout of American International Group (NYSE:AIG), which was rescued earlier this year. Cramer would also give tax breaks to private enterprises that aid in the country's transition from petroleum-based fuels to natural gas. Pat Buchanan just snatched the security blanket from conservatives and stomped on it. Contemplating the prospect of an electoral loss, some conservatives are consoling themselves by imagining that the political pendulum will soon start swinging back their way. Buchanan doesn't think so, and his very first words on the matter this morning explain why: "demography is destiny." 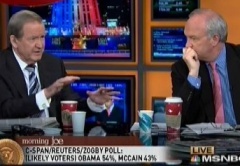 Buchanan offered his analysis during the opening segment of today's Morning Joe. When Katie Couric was trying to pin Sarah Palin down on examples of John McCain having promoted increased government regulation of business, the CBS anchor, after her initial inquiry, posed no fewer than three follow-up questions, even breaking out the old "not to belabor the point" line as she did just that. But when the man perhaps poised to become the most powerful person on the planet, with the world's most sophisticated communication resources at his fingertips, claims "I haven't been able to get in touch" with his aunt who has been living illegally in this country for over four years—and who resides at a known address in a public housing project in Boston—Couric doesn't bat an eye. To the contrary, she can be seen nodding in agreement. And far from asking a follow-up question, such as "have you tried? ", Couric tossed Obama a super-slo softball, asking him to describe the thing the McCain campaign has done that's made him angriest. It's sad when just about the only place to get the truth about what happened to precipitate the current mortgage-lending mess is the Colbert Report. Jim Cramer of CNBC's "Mad Money" appeared on the Comedy Central show on Monday. Cramer said "I'd love to, but I can't" pin the blame for the debacles at Fannie Mae and Freddie Mac on President Bush. He noted that "the Democrats got a lot of campaign contributions from Fannie and Freddie and vice-versa. It was a big circle," and that this is what enabled the two government-sponsored enterprises to continue "to lend to anybody." 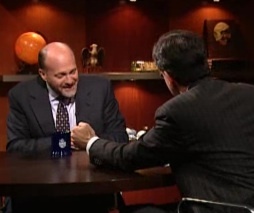 Though Colbert was in attempting-comedy mode, Cramer eventually got to the point where he clearly wasn't kidding (video is at the National Review Media Blog link). Yesterday, the Washington Post's Ed O'Keefe reported that the Obama campaign was releasing some new Spanish language campaign ads on TV in Florida and other markets that feature Rush Limbaugh making what appears to be anti-Mexican comments. The ads then link Limbaugh to McCain on immigration attempting to smear them both in the minds of voters. The Limbaugh quotes, however, are so out of context that their use constitutes a lie. Unfortunately, too many media outlets are allowing these lies to stand unchallenged. As O'Keefe reported on September 17, the ads feature quotes from Rush that display a shocking anti-Mexican immigrant feel. Titled "dos caras" -- or "two faces" -- Rush is quoted as calling Mexicans names and telling them to "shut up and get out." Illegal immigration has all but disappeared as an issue on the MSM radar screen since the primaries wrapped up, and it's unlikely to be resurrected given the generally liberal immigration stances of both Sens. McCain and Obama. Nonetheless, some credit is due to the San Francisco Chronicle for not one but two articlesin the Septmeber 17 paper on the city's so-called sanctuary policy and its problems. This story didn't get the attention it ordinarily might have because it occurred during the Democratic Party's convention. 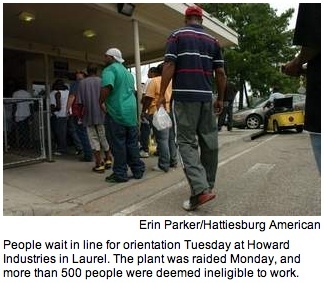 On Monday, August 25, "the largest single-workplace immigration raid in U.S. history" took place in Laurel, Mississippi. 595 workers suspected of being in the country illegally were detained. McCarthy-like tactics and techniques are being used to discredit and silence average citizens and public officials who lobby on behalf of tighter borders and vigorous law enforcement, Dan Stein, president for the Federation for American Immigration Reform (FAIR) has charged in response to a report targeting his organization.